Iain McCaig has worked on both the Star Wars prequels and The Force Awakens, so it's fair to say that the concept artist knows his stuff. That's what makes his comments about the upcoming Han Solo movie so exciting, especially as the vast majority of fans so far seem to have agreed that the spinoff is pretty unnecessary, especially as Harrison Ford obviously can't reprise the role of a younger Han. "[The Han Solo movie] has by far the best Star Wars script, and one of the best scripts period, that I have ever read," he recently revealed after being asked about how the movie is shaping up. "I laughed, I cried, I did all the things you should do when reading a good script. You’re in for a treat." I highly doubt that. I'll believe it when I see it. Iain McCaig might be a little more than biased. These early reviews on scripts are so worthless. No one will ever talk bad about it. Except according to Lucas the dark side isn't natural but a cancer. True. Lucas and Disney since they agreed about these story elements. But yeah. The light side is the natural state of the Force. The dark side is a corruption/taint on it that has to be cleansed. 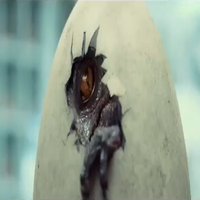 Thats a drastic departure from the overall dark tone of the trailer. People are gonna get confused as to whether the movie is dark or has light elements to it. All this new material for Rogue One is making me even more excited!! You knock 'em dead, Gareth!! I really hope that trailer with Vader makes its way into the public. So excited. I teared up at that Rogue One preview. Looks to be shaping up so well. Damn that looks so awesome. And Thrawn goes canon, can't wait. Apparently there's supposed to come out a new Thrawn book as well. Have to view the second season though... Plenty of spoilers in that trailer. Come on Netflix, give it to me! WAS THAT THE FREAKING OUTRIDER?! Sorry, I was really big into Dash Rendar as a kid as a kid because I loved Shadows of the Empire so much. Dark Troopers maybe? Thrawn! More Maul! I think Rebels is finally going to hit its stride, and I can't wait! What does everyone think of the Darth Jar Jar theory? I'm so excited for Thrawn, I'm also proud of my own fan idea. Where in my opinion Episode 6 splits off into two timelines, the old EU, and Disney's EU, and I follow both. Ah head canon, I love you. It's just a funny theory not meant to be taken seriously. 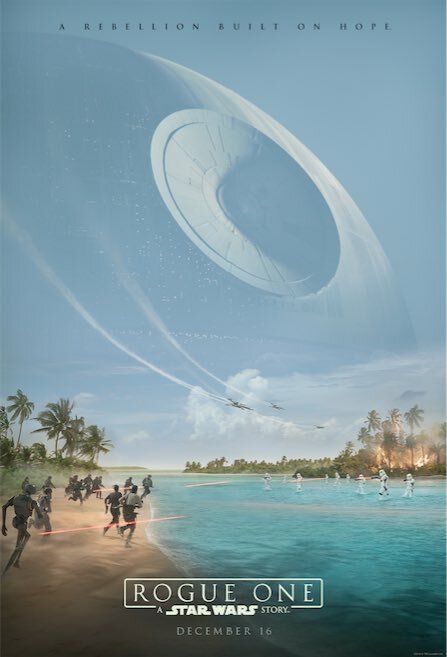 Rogue One is shaping up to be positively amazing! This season is gonna be amazing! Thrawn, OT Y-Wings, Rahm Kota Kanan, Wedge Antilles! There's so much world building going on, and it looks like Sabine got her jetpack! YES! I also LOVE her hair. She looks really cute with that style. Looks like the Outrider to me! Maul never ceases to amaze me in how ruthless he can be. It's the Outrider ship model but it's not piloted by Dash Rendarr according to Filoni. Super excited for Thrawn and it's making me more and more excited for the inevitable recanonization of Darth Revan. Alden Ehrenreich to play Han Solo in three movies? Disney is developing its upcoming Han Solo “Star Wars” spinoff as a three-picture package, reports New York Daily News. Alden Ehrenreich, who is on board to play Solo in the spinoff, has reportedly signed on to do three films, ensuring he’ll return to play the character should (or should I say when) the first film make it big at the box office. The spinoff is set to focus on the character’s early years and will be directed by “Lego Movie” helmers Phil Lord and Christopher Miller. ABC Entertainment President Channing Dungey confirmed today that the network has discussed possibilities for a Star Wars television series. Dungey told EW that the network is looking to bring the brand, which is underneath the same Disney-owned umbrella as them, onto the network in tghe form of some sort of programming. There have been rumors about a potential Star Wars series floating around for years; Lucasfilm reportedly fifty scripted episodes down for a series that was titled Star Wars: Underworld but nothing ever game from that due to potential cost issues. Star Wars is, of course, a huge part of Disney’s cinematic success; The Force Awakens became the top domestic-grossing film of all-time last year and both sequels and spinoffs are on the way starting with Rogue One: A Star Wars Story coming this December. I don't think network television is a good place for sci-fi space action that isn't animated. I think Disney is on good terms with Netflix judging by the Marvel shows, so I think they should go with them instead. Agreed. I love Agents of Shield, but its gone over the top with inhumans, and it really doesn't have the budget for some of the effects it needs. That looks so bloody great. Glad they're making a more mature Star Wars film. Here's hoping we get to see a badassing Vader. Kenny Baker has died at 83. Double post for a reason(as I don't want this message alongside the Kenny baker). I'm shocked by the negative reaction I've seen for Rogue One on IMDB. Almost every topic is talking about how "feminist" the movie is and how the new character is a "Mary Sue". I personally don't get that at all from the trailers. Like not even a little bit. I think it looks fantastic. Am I the only one perplexed by this? I think it looks amazing! Seriously though, as some people reacting to the trailer on YouTube pointed out, they haven't really given the plotline for the film in the trailers. If you aren't someone who has been following the production, there's a chance you may not fully get what's happening. With that in mind, they've shown even less of our main characters, and that has me wondering how anyone can make a judgement on what they are like. "With that in mind, they've shown even less of our main characters, and that has me wondering how anyone can make a judgement on what they are like." EXACTLY!!!!!! LOL. That's why it's so frustrating to try and have a conversation over there. But yea I totally agree the movie looks amazing. I just hope those reshoots didn't hurt it. I know many films have reshoots but sometimes it can go bad. This movie finally looks like it's gonna deliver on what I've always wanted out of Star Wars.